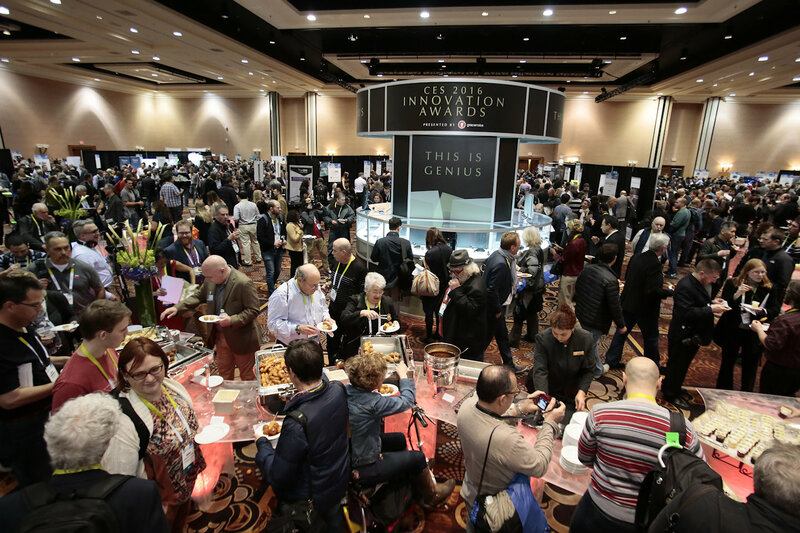 Consumer Electronics Show (CES) is an internationally renowned electronics trade show. For this year, the show concluded on January 9, 2016 in Las Vegas, Nevada. Though the show is not open to the public, many patrons are looking forward for previews and announcements of the newest products. The show is held every year. As time goes by, gadgets are getting smarter and friendlier. 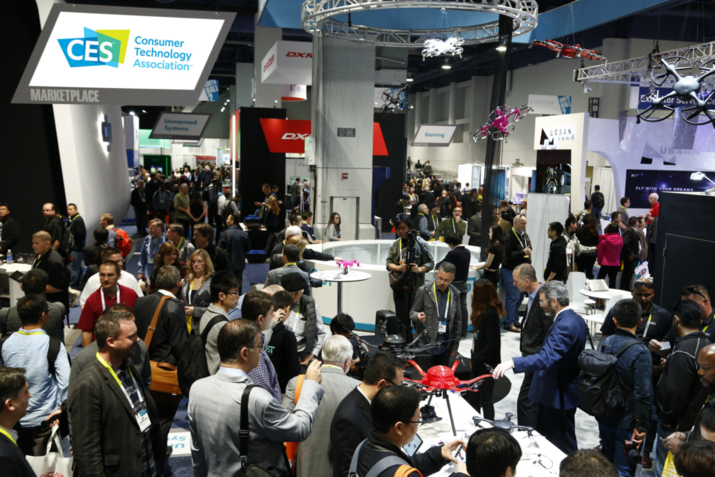 The recently concluded show featured 3,600 exhibitors from cars to appliances, TVs, smartphones, drones, gaming, health care and many new technologies. The good thing about the extravaganza is it features innovation from different sectors. Of course in exhibits, there will always be winners and there are sleepers. Televisions: Televisions are booming and actually exploding right now with influx of different types from different companies. Consumers have tender part for TVs. The television exhibitions are led by tech giants like Samsung, LG, Sony and Vizio. The contenders shifted to ultra-high definition or other high-definition formats. Drones: Drones are slowly gaining popularity here in Singapore so there are many regulations that encompass and restrict its use. The manufacturers know that there is an increasing trend of unmanned vehicles so they joined CES and enhances their vehicles for whatever purposes the users intend it to be. According to experts, drones there were more sophisticated and friendlier – with easy controls and applications that even a child can understand. The manufacturers in fact claimed that it drones are fool proof and easy to use plus it can be operated using our smartphones which is a big plus. Smart homes: Devices are made now so it can help us better and improve our lives even more. The trend now is equipping the house with controls that are accessible and easy to use. Expect that Google and Samsung’s Nest will be at the centre when it comes to smart homes from the thermostats to remote controls, bulbs and other devices or appliances in the house. It does not end there because Haier featured a moving refrigerator that resembled R2-D2. This will surely be a hit especially for “Star Wars” fanatics. There are more things to come. Cars: CES also features cars which experts called the “core pillar” of the show. In the next years, we may see cars with lesser buttons and replaced by displays even possibility of gesture or speech recognition. That is something to look forward to. According to the organizers of the show – Consumer Technology Association, there were ten automakers that showcased their cars not to mention more than 100 automotive tech companies. This will change how we interact with vehicles leaving the technology to handle different aspects of driving. 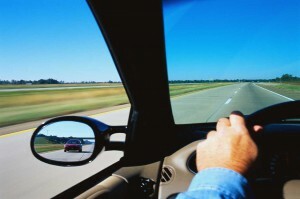 Who knows we will see cars in the near future without steering wheels. Now that is a sight to behold. Virtual reality: CES also reserved a spot for virtual reality-related technologies. The three giants are battling for supremacy from Oculus to Sony and Valve in terms of headsets. Aside from the big three, there are other contenders that challenged them. The good thing is that we may soon find other applications of virtual reality aside from gaming. Apple did not officially attend the CES which came as a surprise for others but despite their non-attendance, their presence was felt. 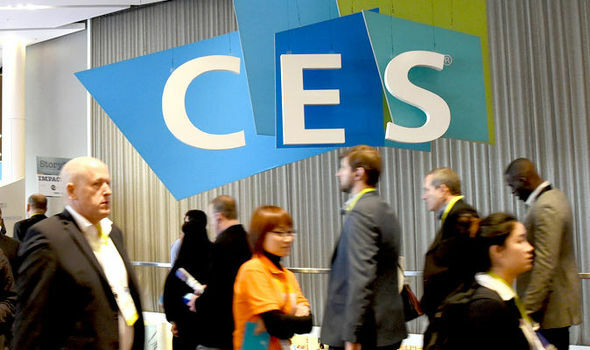 For 2017, CES will be held on January 5 to 8. Many exhibitors from different companies are now planning for their products to be featured come 2017. It will still be held in Las Vegas, Nevada. There were about 176,000 people who attended the show and we will see what next year holds. We will have to wait until the end of the year to determine which are successful and which flopped. One thing is for sure, next year, there will be more and many will be delighted of the new improvements and advancements. For more information, we can just check the website of CES. We commonly ask the questions: What’s the best city? What’s the best food? What’s the best country? And other debatable things when we travel but one thing is for sure in my experience and for other travelers that Singapore Airlines is the best in the world, no doubt about it! The first time I went to Asia was in 1999 and it was also the first time I flew with Singapore Airlines. I was still a “beginner” in traveling at that time and have not compared it with other airlines, but I was convinced that it was the best plane to fly with. Their economy class does not define the “economy” service because they served the best food aside from lovely cabin crews. For many years, Singapore airlines has not changed their service in fact, it has gotten better and better as their economy grows and becoming always on top. I am also very fortunate that I had tried their business class suite. It does not only give you a very comfortable flat bed seat which gets you asleep over long hours of travel, but it is on every detail that counts which makes Singapore Airlines very different from the others. I always feel comfortable and at home during my Singapore Airlines flights. The cabin crews are well groomed and some passengers fail to notice the music that is played after landing which relaxes the ambiance and how they are very polite and attentive to needs of passengers. They have the nicest and most helpful cabin crews that I know. 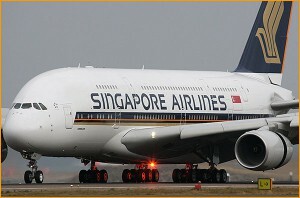 If planning to have your business, family or even your honeymoon trip, I recommend you Singapore Airlines. It gives excellent and first-class trip services to passengers. It is your home in the skies. Whether you are diving as a professional or for fun, you should always practice safe diving. Scuba attracts many people because it is the only time where one can experience the life of the sea. People often go scuba diving because they do not want to forget the magnificence of the sea. Before diving, you should be aware of its risks. You can start by asking your doctor if you are medically cleared to do that. Before the dive, everyone is required to participate in briefing. Even if you are a professional, you should still attend especially if you do not know about the area. The dive plan will be discussed here. You will know the hazards, what you will encounter and what to do in case you get lost or separated from your partner. You will also be presented with hand signals; it is crucial that you understand and familiarize signals. The golden rule of scuba diving is always check your equipments. If you do not know a thing about it, you should ask questions but usually the equipments and how to use it are presented during briefing so you should listen carefully and seriously. You should never forget to check your tank, air, regulator and the BCD. Down there, you have no one but your buddy. You are responsible for him/her and he/she is to you. When checking your equipments, make sure that your buddy does it in front of you. When you are down there, always stick together and never stray away from the group or your partner. This is where hand signals come in. When you communicate, make sure that you use the proper signal to avoid confusion or misinterpretation. 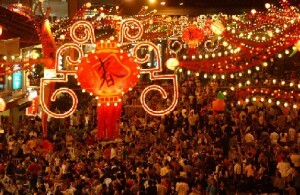 Singaporeans and people around the world always anticipate Chinese New Year. 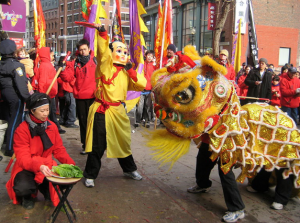 Chinese New Year is famed for its life and vibrancy. There are many key events during Chinese New Year. You should visit Chinatown and witness how it comes to life during the New Year. Immerse yourself with the celebratory atmosphere. What takes place during Chinese New Year? Be amazed with the dazzling display of lights, decorations and spectacular arches themed to welcome the year. You should look out for interactive displays. There is an endless photo opportunities as you walk through Chinatown too. The official light up and opening ceremony is the right way to kick off the celebrations. This is a must see event for both locals and tourists. You will see cultural performances, lion dances, firecrackers and pyrotechnics display. You can wander around the festive street stalls. There are over five hundred stalls that promise to enthral visitors with a stunning selection of festive goodies like waxed duck, barbequed sweet meats, cookies, fresh flowers and other things. If it is not enough, you can witness festive entertainment. You should head down to Kreta Ayer Square for the night stage shows. You will be charmed with local and international cultural performances. The stage shows are near the Buddha Tooth Relic and the Trishaw Park. Another highlight is the countdown. You can jumpstart the beginning of the Chinese New Year in the countdown party. Local celebrities are invited to amuse you with their songs and dances. What makes the evening more exciting is the display of the fireworks. Blindness is difficult. If you have this disability, you need to accept it and make the most if your life. It is not easy but with the help of people around, you will surely get by. For Mr. Alvin Ng, his life is easier with the help of his dog. Mr. Ng walks around Singapore with his dog Seretta, a two year old Labrador. Seretta is very special because she is trained by a professional guide dog instructor from Australia. The dog is trained based on Mr. Ng’s environment and physical type.With Seretta, Mr. Ng efficiently navigates around Singapore. Dogs can lessen stress and it can effectively decrease blood pressure. Aside from those, dog ownership is found to lower cholesterol and it can predict seizure attacks. More importantly, it can keep you healthy. Dogs need exercise and so do you. You should bring your dogs outside for exercise and you too can reap the benefits. 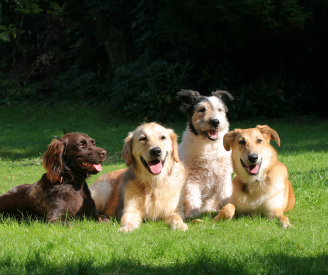 Dog owners feel positive things when they are around their dogs. Dogs ease anxiety plus they can help you relax and feel safe. Dogs can also lift your mood and when you feel lonely or isolated, they seem to understand. To make it shorter, dogs bring happiness to their master. Their loyalty is unbeatable; they will never leave you no matter what happens. When you have dogs, there is a tendency that many people will approach you and talk to you. You will notice this if example you are in the park with your dog, there will always be someone who will approach you. It can promote interaction. 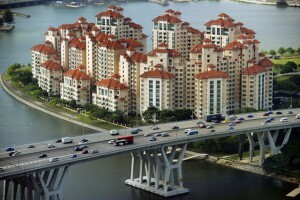 Singaporeans will find it hard to apply for property loans now that the tightening of loan rules is in full effect. The Minister of National Development said that this tightening is a measure to guarantee a steady property market. Singaporeans should expect this to be permanent in time. The Central Bank initiated two frameworks- TDSR (Total Debt Servicing Ratio) and LTV (Loan to Value) which strongly limits housing loans. This action will fortify credit practices and promote financial forethought amongst borrowers. Aside from strengthening the property market, the government is eyeing to create a HDB community that will promote multi generation families to live closer. New houses are built in Tampines, Woodlands, Yishun and Sembawang that will encourage children to be near their parents or grandparents. Look for a suitable community. You should canvass the community and see if it is what you like. This is crucial since you will spend most of your time there. You should determine if the community suits you well. Make sure you can afford it. Of course, this is important. Do not enter into something that you cannot handle. Do not let pressure sink in. If you cannot afford it, stay in an apartment or rent a room. Do not push it because you will be the one who will suffer later. If you consider private loans, compare interest rates. If you want to get bank loans, you should compare interest rates and payment schemes among banking institutions. It is important that you are oriented about the guidelines so you will know what to expect. When you encounter the wildlife, you feel scared because you feel unsafe and threatened. Indeed there are animals that should be feared but there are animals that are adorable and safe. 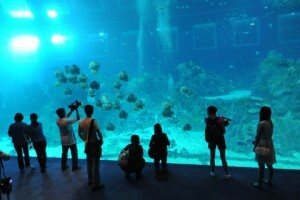 S.E.A Aquarium lies in Resorts World Sentosa. Admission charges apply. Adults should pay S$33 and S$23 for children (4 to 12 years of age) and seniors (above 60 years of age). They are open from 10 am to 7pm daily. For other inquiries and ticketing information, you can call them at (+65) 6577-8888. S.E.A Aquarium is considered the largest aquarium in the world. 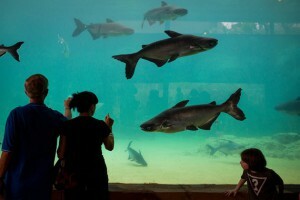 The aquarium houses more than 800 marine species. River Safari lies in Mandai Lake Road. Park admission for adult is S$25, S$16 for children and S$12.50 for seniors. They are open from 9am to 6pm every day. For other inquiries and ticketing information, you can call them at (+65) 6269-3411 or 6365-2331. At the safari, you will encounter 300 terrestrial and aquatic species. You can also visit the giant pandas in their forest. 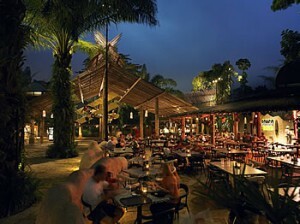 Night Safari also lies in Mandai Lake Road. Park admission for adult is S$35 and S$23 for children. They are open from 7:30am to 12am. For other inquiries and ticketing information, you can call them at (+65) 6269-3411. You now have a chance to observe nocturnal animals at their natural habitat. You will see 115 species of animals in the park. 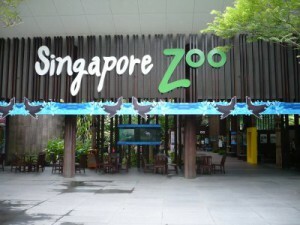 Singapore Zoo is adjacent to River Safari and Night Safari at Mandai Lake Road. Park admission for adult is S$35 and S$23 for children. They are open from 8:30am to 6pm. For other inquiries and ticketing information, you can call them at (+65) 6269-3411.